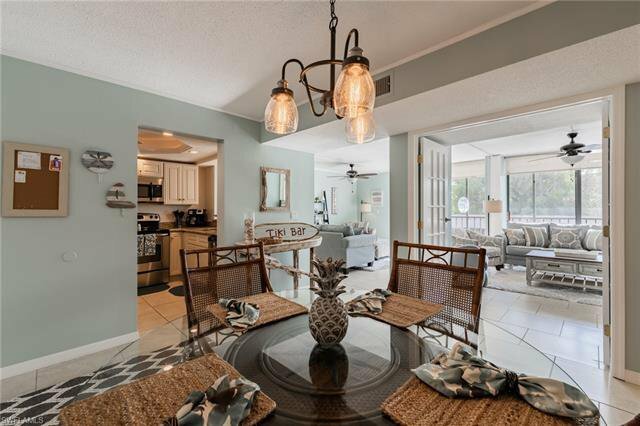 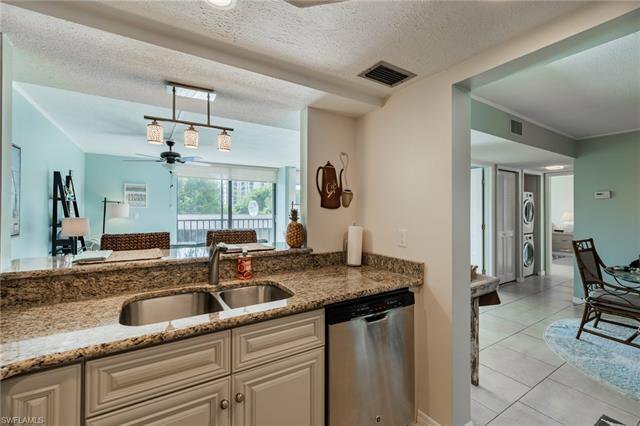 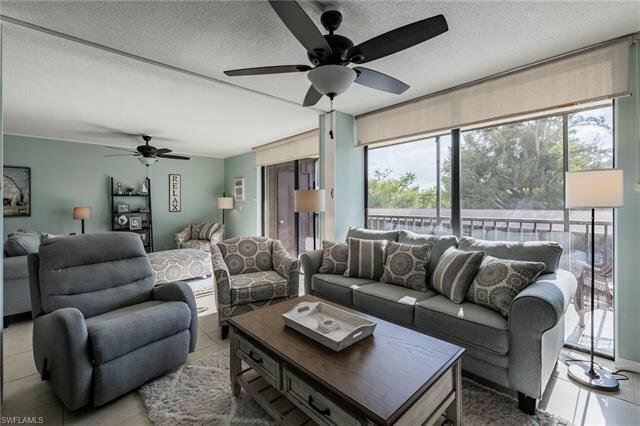 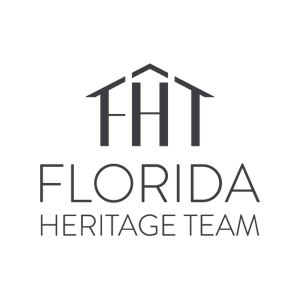 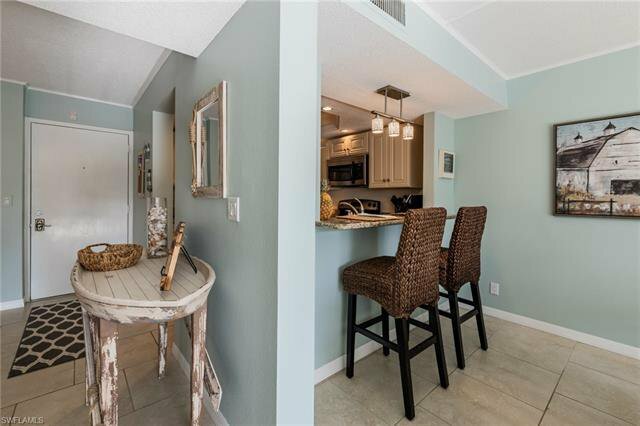 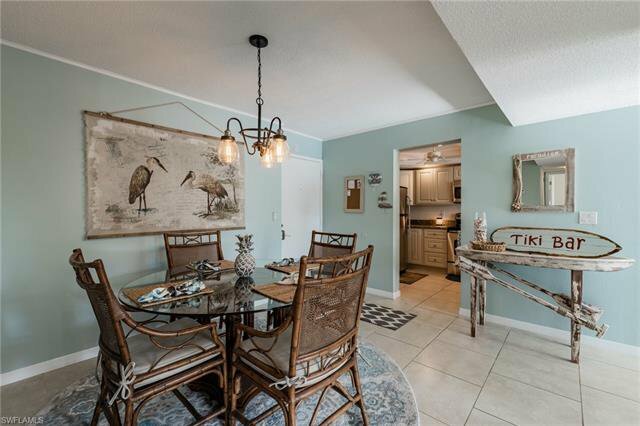 Experience the SW Florida lifestyle in this exquisite 2 bedroom condo. 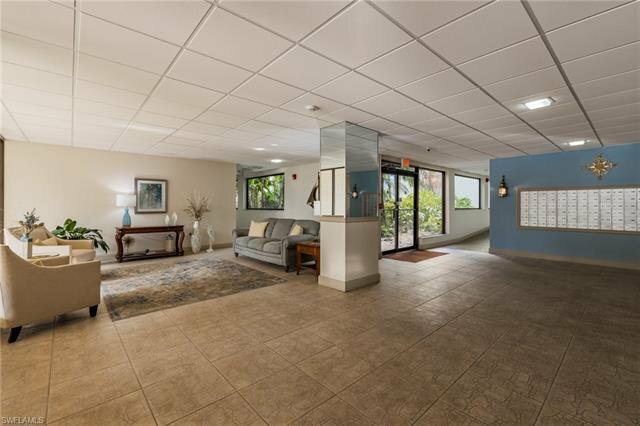 As you enter, the beautiful hues and the unique floor plan will immediately draw you in. 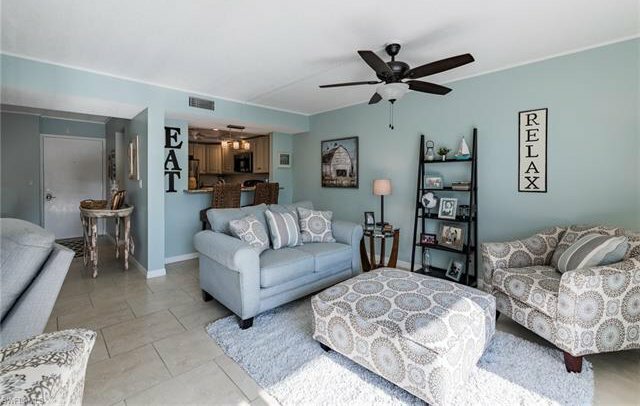 White French doors open into the living room. 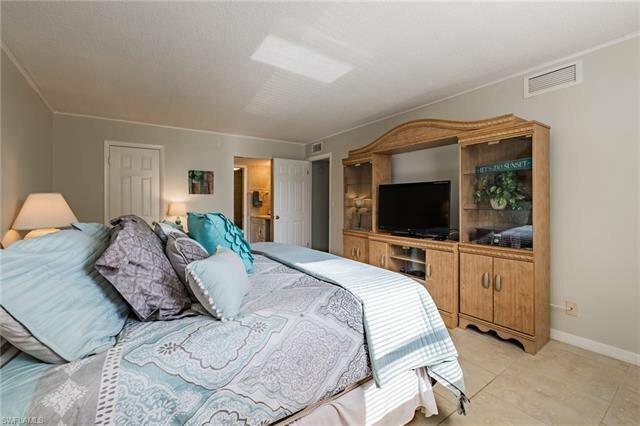 A hidden sliding door can be closed to convert into a bedroom for guests without permanently losing the open space. 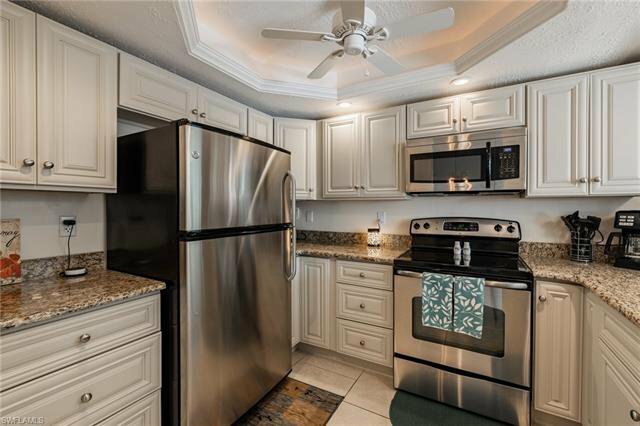 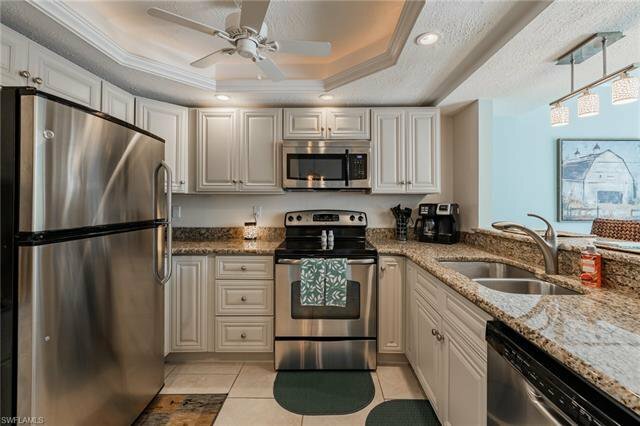 Beautifully updated kitchen with coffered ceiling, granite countertops, and stainless steel appliances. 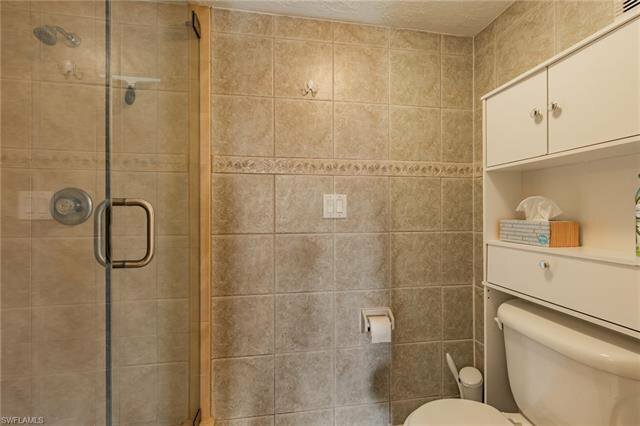 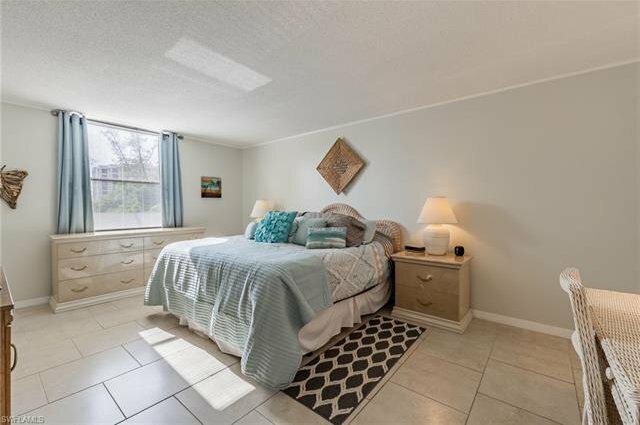 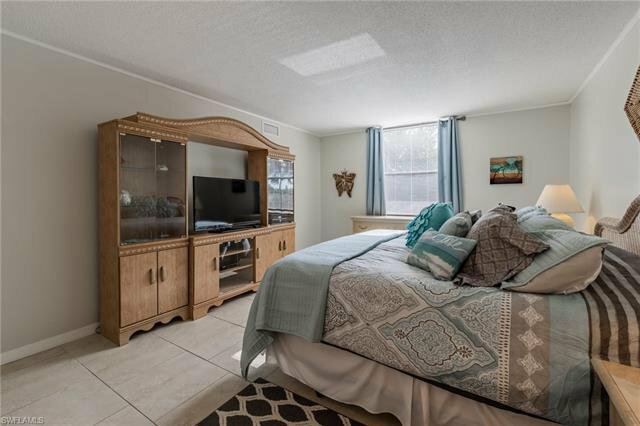 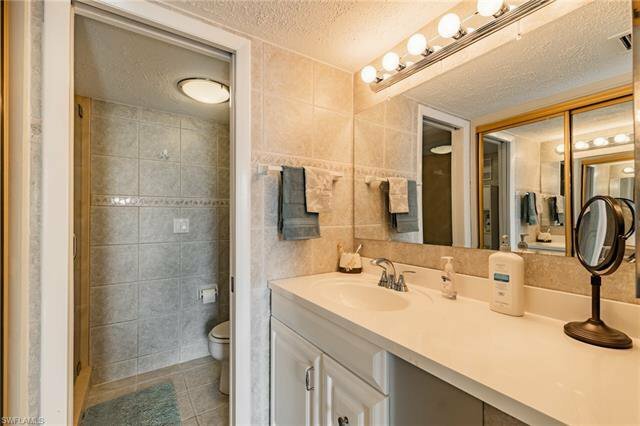 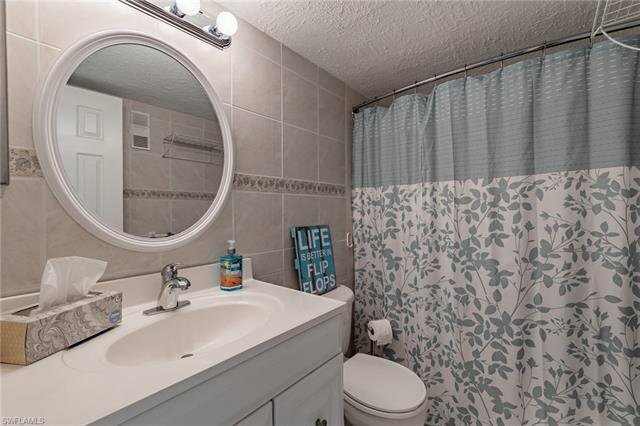 Large master bedroom suite with a walk in closet, updated bathrooms and large tile throughout are some of the features of this dreamy condo. 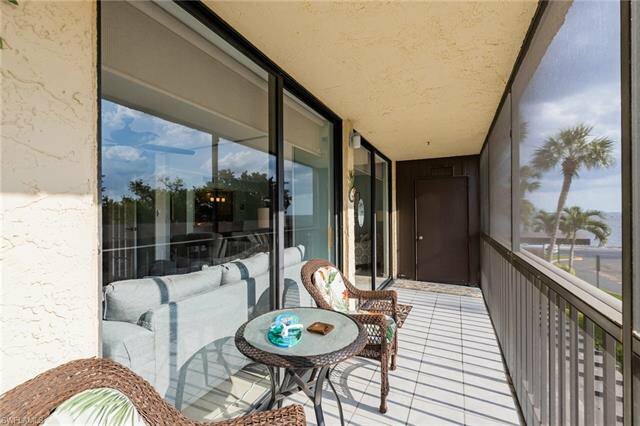 Enjoy the view of the river from your screened in lanai or take a dip in the pool by the courtyard. 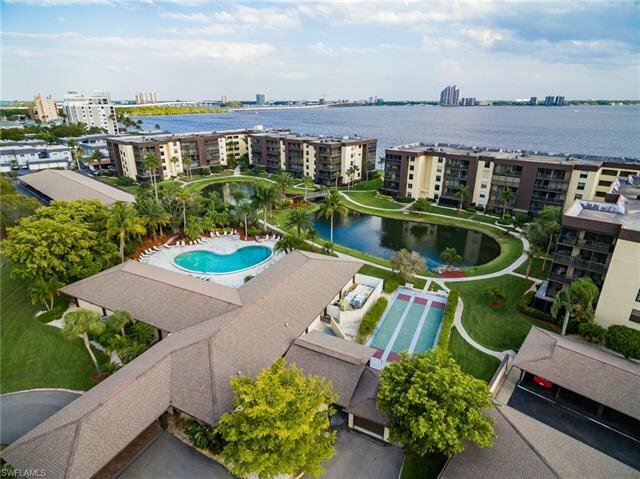 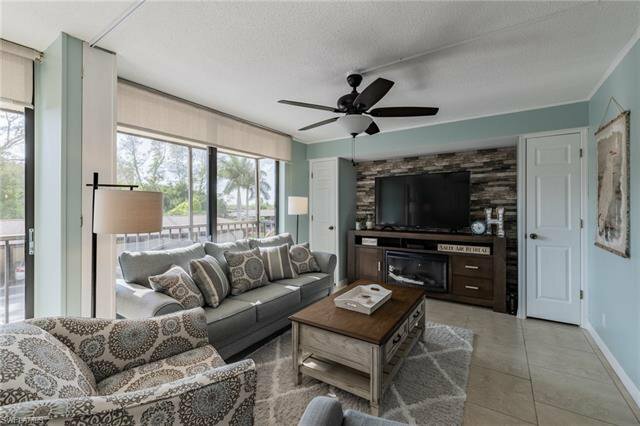 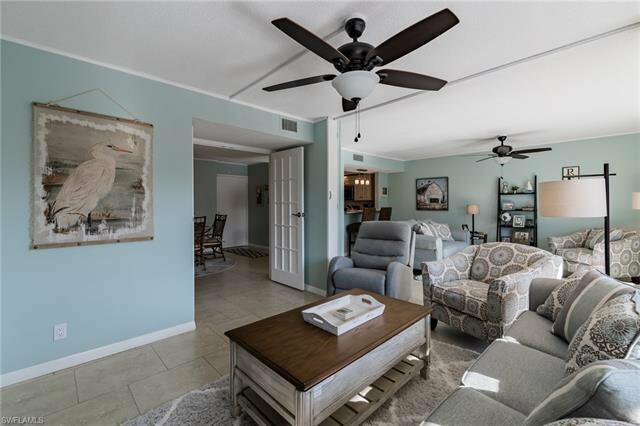 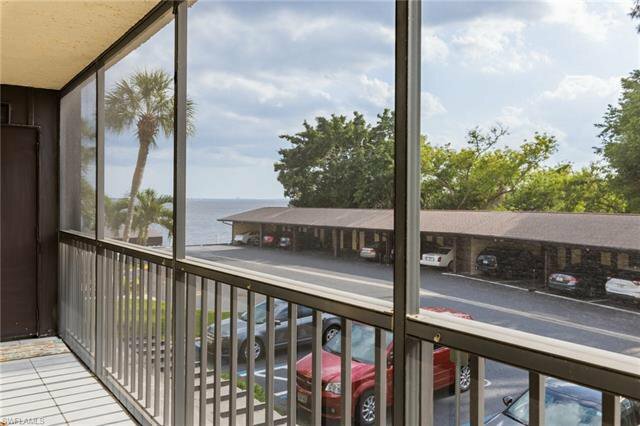 Schooner Bay Condominiums is North Fort Myers' hidden gem. 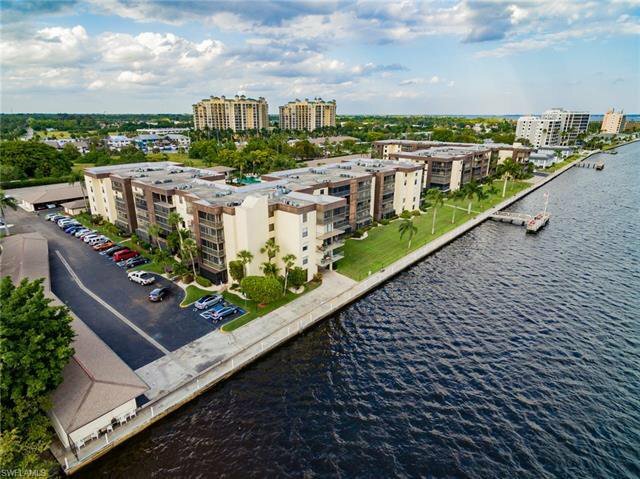 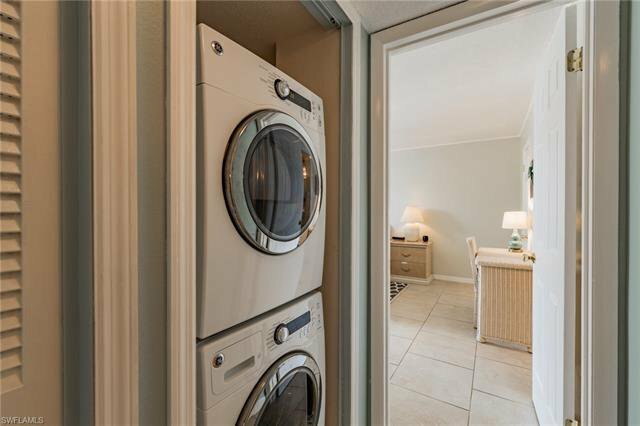 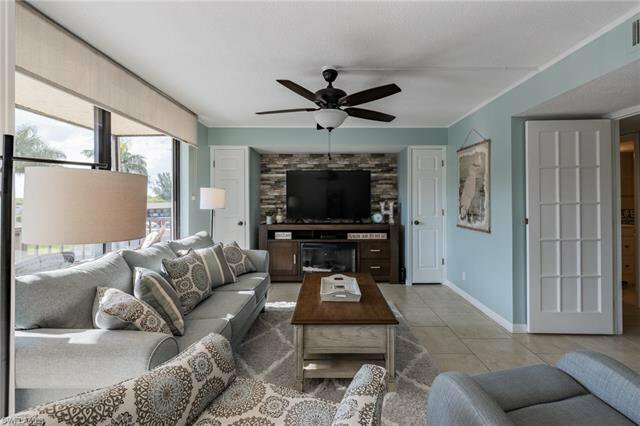 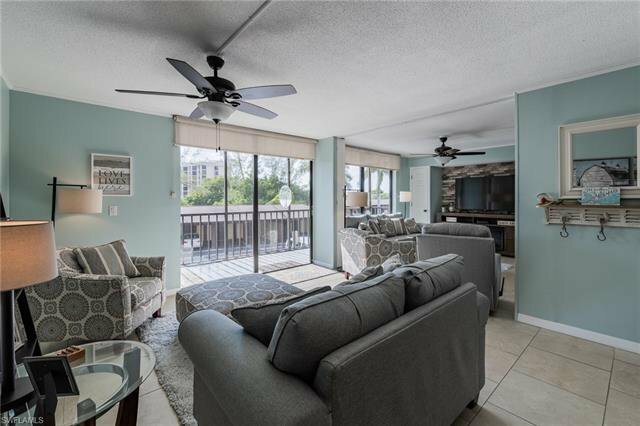 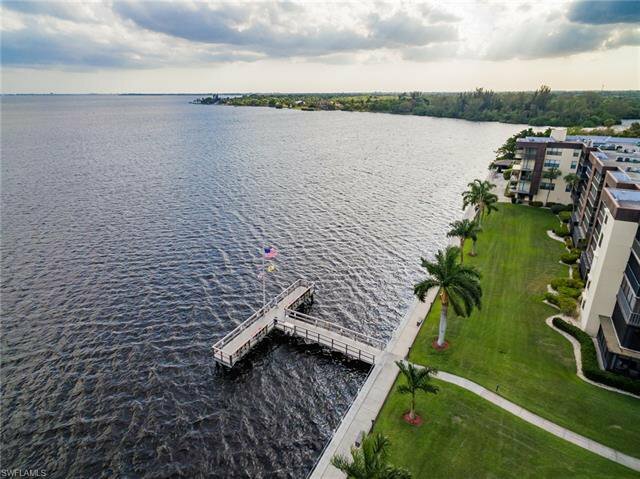 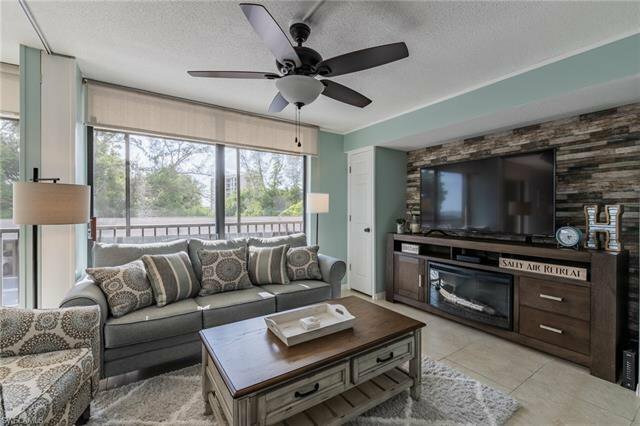 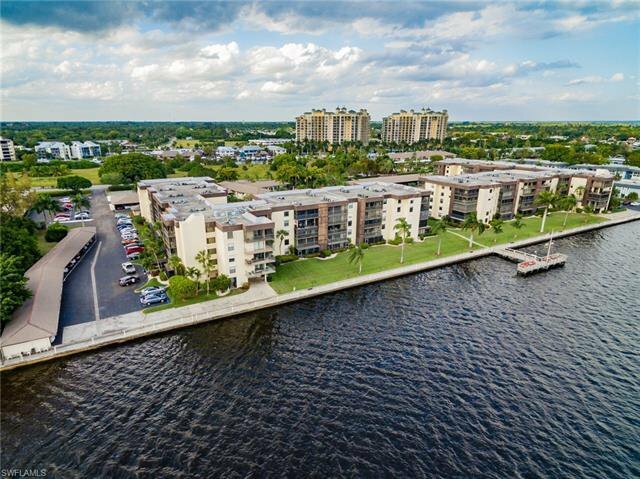 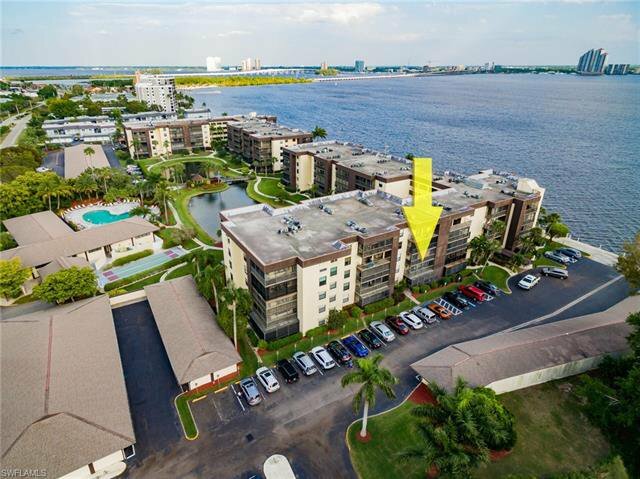 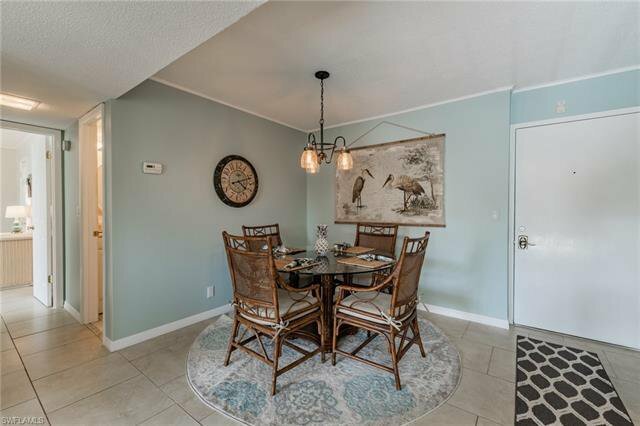 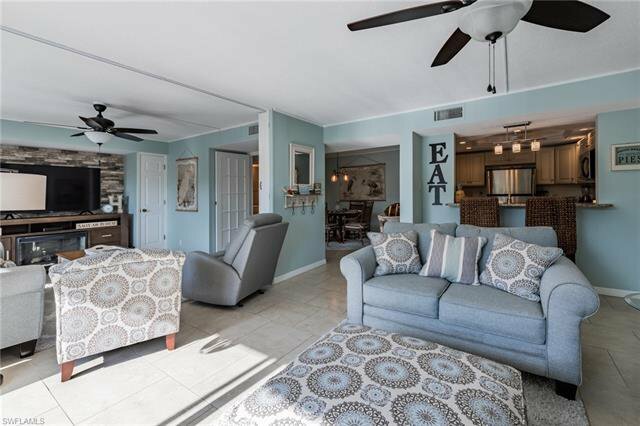 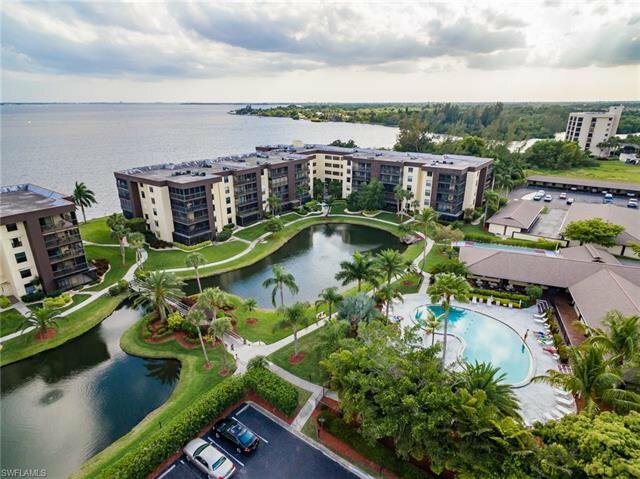 Many amenities to enjoy, walking distance to waterfront dining, and across the bridge from Fort Myers downtown river district makes this the perfect home for you!